5 years! If my blog was a person, it would be going to school for the first time this year. On the date of my blogiversary I usually like to take a look back at what I've learned and what I want to accomplish. I'm not sure what I want to do this year. The past couple of months I've read some great books. They aren't the most popular books around. They didn't attract a lot of comments or attention on my blog but that's okay. I loved reading them and sharing my thoughts on them. Those are the kind of reviews I most enjoy writing. I just hope people enjoy reading them. I've cut down on the number of review books I accept. I still accept the ones that appeal to me. I love being a member of Netgalley. There are so many review books to choose from and while I don't pick many, I feel this is the best way to get review books. The digital copies also free up space on my shelves. Plus, now that my library has digital copies, I have that option too. I just wish there were more older books available. If you're interested in reviewing books on your blog, even if you are on the ebook fence, it could be worth investing in a cheap ereader. As for my blog, I'm not sure where I'm going. I haven't looked at my stats in a long time. I used to look at them nearly daily. It doesn't seem as important to me now. That might have to do with how I look at review books. My Twitter break wasn't as difficult as I thought it would be. I'm going to go back but not log in as often and do a few other things suggested by the commenters on my Twitter post. Thanks, you guys! Some of my crankiness has disappeared. Yay! I'm also planning on helping out during Armchair BEA again. That was such a rewarding experience last year. Personally, I want to make a few changes. 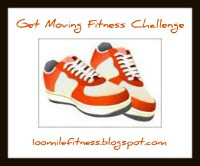 I've joined the Get Moving Fitness Challenge (previously known as the 100 Mile Fitness Challenge). I want to loss the pounds I gained over the last 10 years (before I had my daughter) and get fitter. My family has a pass to the Y and I plan on making good use of it. I'm not going to make any crazy resolutions though. I know I'd be disappointed if I can't keep them. Five year olds face challenges and learn a lot that first year of school. They also make friends and have lots of fun. I hope it's the same for blogging five year olds. Well, I've signed up for a few challenges, I hope I learn a lot this year, make new friends, and have a lot of fun! And because it seems appropriate, here's a song I've been listening to for weeks now. It was a free itunes pick. It's Kathleen Edwards Change the Sheets from her new (January 17) album Voyageur. If all the songs are this good, I will be buying it. A new year is like changing the sheets, fresh and clean. I totally agree with you about Netgalley. I'm much more open to giving books a try there when I know I can decline them if I try a chapter or two and it isn't working or I run out of time. It's nice to know when that happens that the publisher isn't wasting a review copy that someone else might really appreciate. Congrats!! Hard to believe how quickly time flies, eh? Good for you to join the Fitness Challenge. I've been doing a weekly check-in / weigh-in with two friends and it's really, really motivating to have that support. Thanks for the Kathleen Edwards song, I hadn't heard that one yet. I didn't even notice you were gone from Twitter, but then I haven't been on there too much. I only go for a few reading-related events, Hitchfest and Shaken Not Stirred...and sometimes if bloggers are having blogiversaries. I think I remember you getting frustrated with Twitter, but that's okay. It's only one of many tools we can use to interact with others, with the main one being our blogs. Sometimes that gets lost in the mix. I completely agree about netgalley, though I still have to learn not to feel guilty about declining a review copy. I often forget to hit decline and that way it looks as if I have 30 books still waiting to be reviewed. Yay for five years!!!! I'm so glad you're here, and I love the mixture of reviews I find on your blog. Cheers to another five years and more, Chris! Five years is quite an accomplishment! I rarely check my stats these days and have been cutting back on review copies as well. Congratulations on your wonderful achievement. Best of luck on the Get Moving Fitness challenge, I bet you can totally get fitter. And I hadn't even heard of Netgalley. Anyway, happy blogiversary. Yours is one of a handful of blogs I check regularly, even if I don't always comment. Congratulations on five years, girl!! You have accomplished SO much in these past five years. I love the fact that you have never caved to pressure to read the "popular" books. Good luck with your new directions this year and with your fitness goals. I am right there with you. Congratulations on 5 years! That is quite an accomplishment! Isn't NetGalley wonderful? I have to agree, it's my favorite way of getting review books too. Teresa- Yes, and you don't have to watch the mail either. Beth- Good luck with your fitness plans! Unfinished- Yes, sometimes the blog gets forgotten. I've got to get back into the groove. Iris- Two Year Olds can go crazy and everyone thinks it's cute! April- It won't be easy, but I'm going to try. Eva- Hey Blog Twin!! Happy Blogiversary! Michelle- Thanks, I always like doing my own thing. Melissa- It's a great resource. Thanks everyone for the well wishes!! Happy blogiversary! 5 years is a major accomplishment!